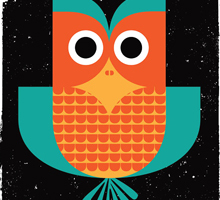 Bright Eyes silkscreen, limited edition poster. 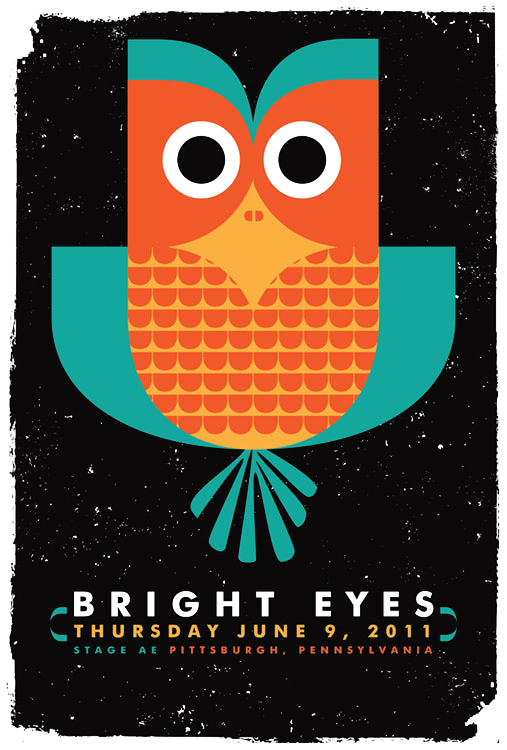 Hand screen printed poster for Bright Eyes’ show on Thursday June 9, 2011 at Stage AE, Pittsburgh, PA. In homage to all things organic, wise and bright this fella is our 4-color all hand silkscreen printed poster for the singular sound of Bright Eyes with hand mixed midnight black, teal, acrylic screenprinting inks. Edition: 150, each of these limited edition posters are signed & numbered (by me, strawberryluna) Size: 16×22 inches (39.4 cm x 55.9 cm.) Paper: archival Cougar, White 100lb cover weight.